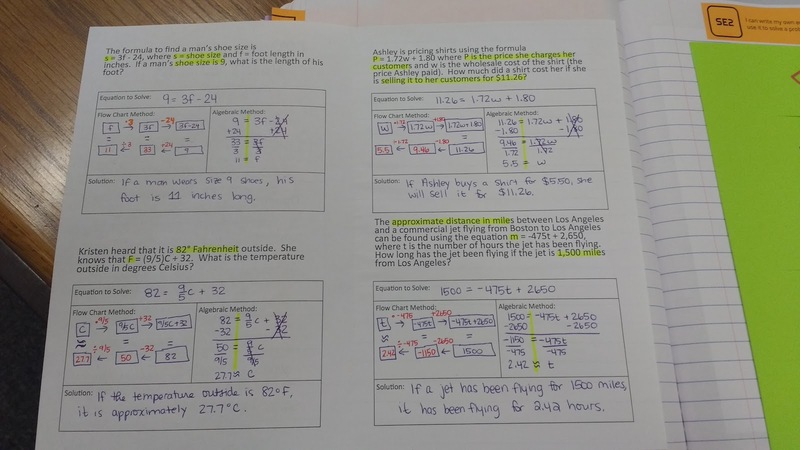 This year, I decided to try something a bit different in Algebra 1. I showed my students two different methods to solve an equation, and I required them to choose one of those methods to use. I guess I'm getting ahead of myself. Let's back up. I began this whole talk of solving equations by telling my students that I was going to perform a magic trick for them. 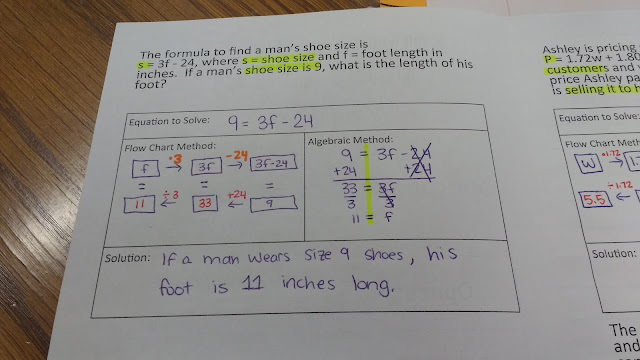 I told my students to think of a number in their head. Then, I told them to multiply the number by two. Next, I told them to divide the number by two. This was followed up by my cunning magic. I announced that I could tell them what number they were thinking of. 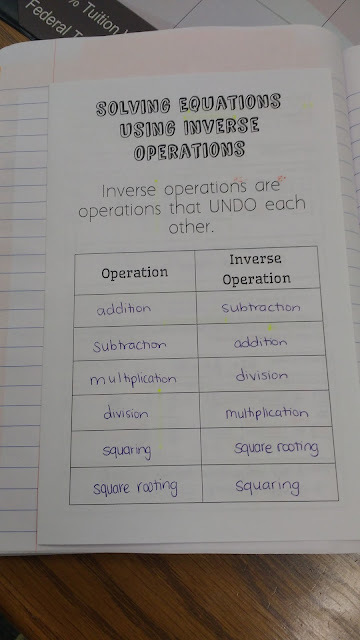 They were thinking of the same number they started with. Impressive, right? I pretended to be super offended that they didn't like my magic trick. They called it lame, stupid, and any other number of not so nice things. When they had calmed down a bit, I asked them why my magic trick wasn't very cool. 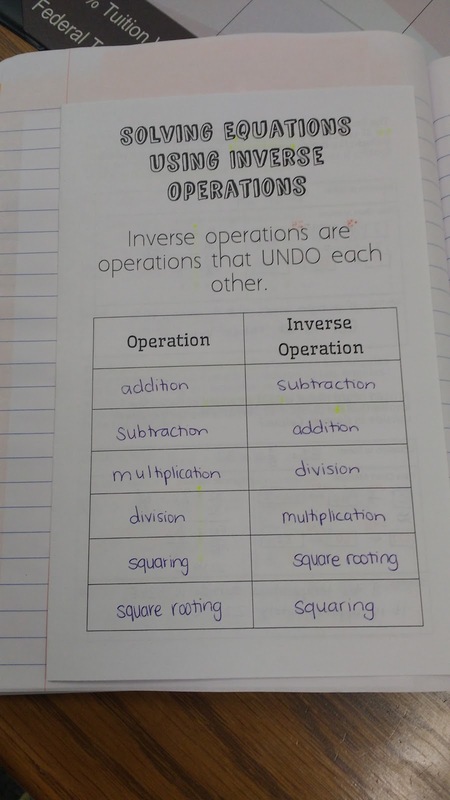 They very quickly suggested that multiplying and dividing undid each other, so it was not an impressive trick. The inside of the foldable had four equations for them to solve. 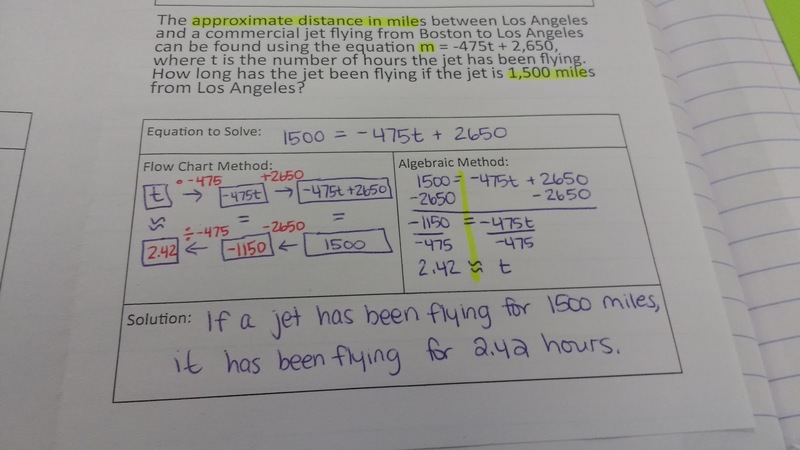 I did not write these word problems myself. I found them online over the summer. 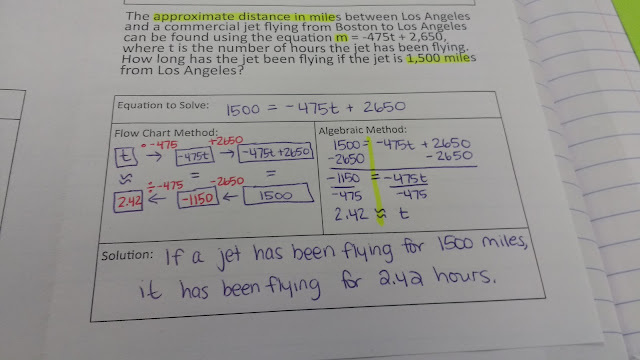 Each word problem provides an equation AND requires students to plug one of the values from the word problem into the equation before solving for the specified variable. 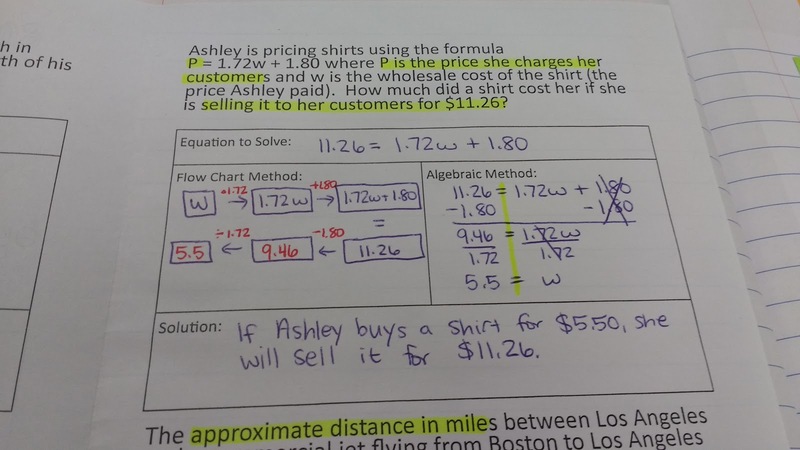 To begin, I had my students plug in the given value and write the equation to be solved. Next, I modeled for them how to solve the equation by creating a flow chart AND by algebraically doing the same thing to both sides of the equation. This was my students' first time seeing a flow chart used to solve equations. Some students were instantly in love. Others hated it and complained the entire time. The last thing we did is a HUGE change for me this year. I am making them write a complete sentence for each equation that puts the solution into the context of the story. Why have I never made students do this before?!? 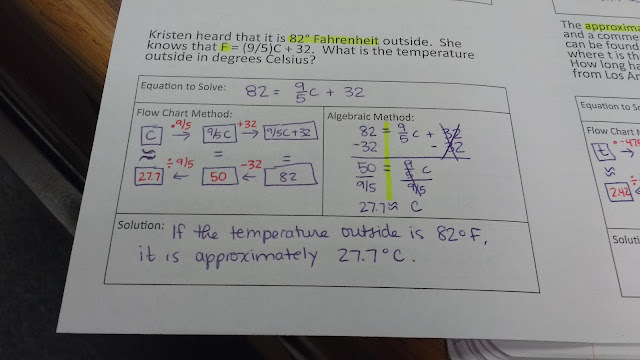 I continued having my students draw a line through the equal sign to divide the two sides of the equation. I blogged about that here. I uploaded the file for this foldable here. Love the complete sentence answer requirement! I bet students complain about it a lot, but it is so good for them! That reminds me of how in my math teaching days I used to give essay questions on tests - things like "explain how to graph a linear inequality," etc.